We need to pass artificial intelligence laws early and often. Not that long ago, Google announced something unheard of in the auto industry—at least in the part of the auto industry that makes moving cars. A car without a steering wheel or gas and brake pedals. To Google, this was the next step in self-driving cars. Why bother with a steering wheel if the driver isn’t driving? 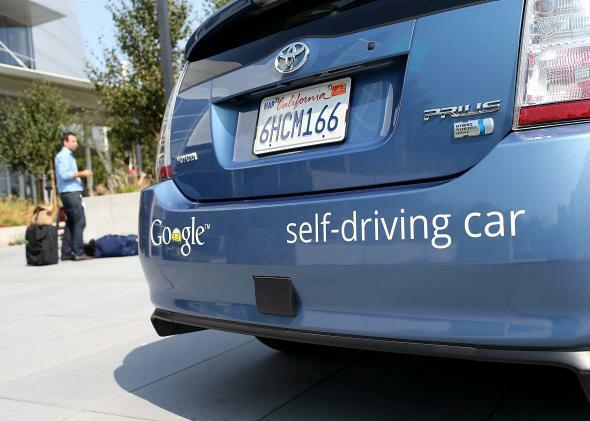 Some observers questioned whether this feature in the proposed the test vehicle violated the autonomous vehicle statute in California (where the vehicle would be tested), which required that the driver take control of the self-driving vehicle in case the autonomous system malfunctions. Google claimed that it installed an on/off button, which satisfied the California law. California recently weighed in: Google, you’re wrong. The state has released regulations requiring that a test driver be able to take “active physical control” of the car, meaning with a steering wheel and brakes. To this I say—good for you, California. This is only the most recent example of wonderfully swift governmental response to autonomous technology and artificial intelligence. At every level of government—local, state, federal, and international—we are seeing rules, regulations, laws, and ordinances that address this developing technology actively discussed, debated, and passed. Four states have passed legislation governing autonomous cars, and they’re not even on the market yet. The FAA is drafting regulations to address drones, even though their use is relatively limited; there is even case law on the books addressing drone regulation. States and towns are weighing in on drones, too. At least one urban planner is actively developing zoning ordinance provisions that would establish fly and no-fly zones for drones in cities. Internationally, the United Nations has begun to weigh in on how military drones fit into established international legal norms. If you look at the details, this activity is not targeted so much at pure government regulation like registration, permitting, etc. (although that is certainly present). Legislators and regulators are targeting people and their welfare, in much the same way that historic legislation responding to the Industrial Revolution targeted people and labor. The state legislation governing autonomous cars is very concerned with how people will use those vehicles, their safety, and their best interests. The FAA’s drone regulations will be largely (although not exclusively) concerned with the safety of people: in the sky, on the ground, in their homes. In contrast, states and towns are concerned with another element of people’s welfare: privacy. They are pushing for tighter restrictions on drone usage by police forces, frequently requiring warrants, as Margot E. Kaminski recently advocated in Future Tense. Some states, like Indiana and Oregon, have gone so far as to try to prohibit drone usage altogether. Efforts from the United Nations are focused exclusively on saving lives and preventing killings by military drones. Many recognize that it is easier for governments to order killings and attacks when their own human soldiers aren’t on the ground, separating the decision makers from the true cost of their decisions. These laws, these regulations, these debates—this is exactly what we should be doing. Economists and historians traditionally claim that the technological advances of the Industrial Revolution led to the creation of a large middle class in the United States. That’s only partly true. The technology certainly made that middle class possible, but the legal innovations that we created following the Industrial Revolution made possible the widespread prosperity of the mid-20th century American middle class: minimum wage laws, child labor laws, laws protecting unions, regulations governing workplace safety and environmental protection, etc. All of these laws tried to help average Americans benefit from the new system that the Industrial Revolution introduced. But those laws took 100 years. We don’t get that much time anymore. The Internet and automation in factories (i.e., robots) were among the last two major technological advances that altered our economy and labor market. Automation decimated blue collar workers beginning in the 1960s and the internet hit small businesses hard starting in the 1990s. One of the big reasons those technological advances were so hard on working and middle class workers is that we never adequately addressed them with legal changes as we did following the Industrial Revolution. But we also had much less time. There were 30 years between robots in factories and Amazon on the Internet, and there have been about 20 years between the introduction of the Internet and the introduction of AI and autonomous devices. In addition to its self-driving cars, Google is developing a secret fleet of self-flying delivery drones, according to a recent Atlantic article by Alexis Madrigal. The FAA’s regulations aren’t due until 2015—and those will probably be late—but I hope the drafters are looking ahead at the drones of the future and not just what’s available today. This technology is going to develop fast, almost certainly faster than we can legislate it. That’s why we need to get ahead of it now. There are legitimate concerns about how AI and autonomous technology will impact the work force and our quality of life. There were in the face of the Industrial Revolution, factory automation, and the internet, too. If we want to make sure that the benefits of these technological advances are widely shared among all people, we need to legislate early and often. Otherwise, the problems experienced by working Americans and the middle class over the last several decades will only get worse.